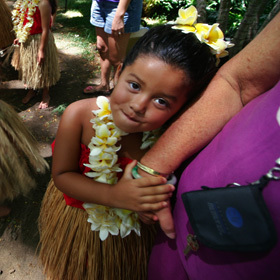 29th Prince Lot Hula Festival » 4-year-old Raiatea Reynolds, a member of Holt Takamine's halau, held hands with grandmother Norma Reynolds before performing. Federal protection bodes well for native seabirds and seals. Efforts to keep people out of hospital beds are working, adding to tasks in emergency. A tech program has teens build robots and computers. The memory of the club's founder spurs the paddlers to a win. Gwen Pacarro says her desire to help people guides her investment advice. Hawaii labor leaders want the Legislature to meet in special session to override all 28 of the governor's threatened vetoes.